with hundreds of drawers full of 1850s to 1950s old laces, ribbons, buttons, sewing and millinery goods. plus british specialities such as cream tea with Cornish clotted cream. 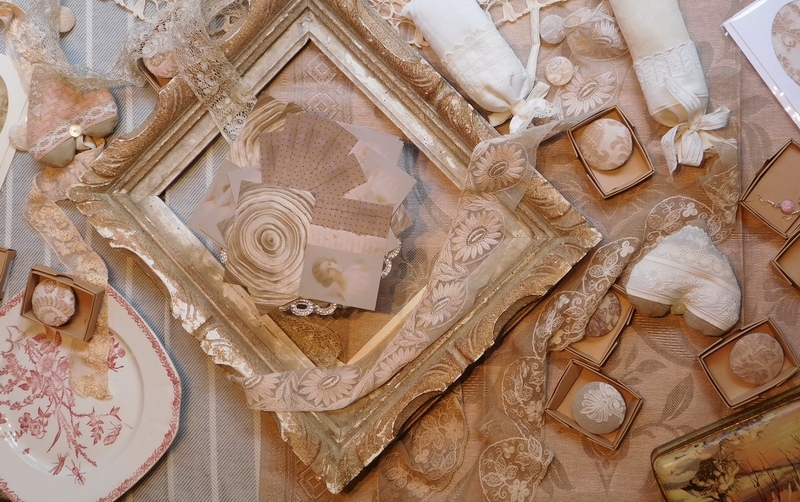 country brocante, lifestyle and my own handmade textile creations using antique materials. 20 days anniversary and limited edition woven tea towel. to reduce the environmental impact by proposing more local products made from pre existing goods. Antique haberdashery and handmade buttons created with antique laces.